Among the new breed of restaurants that add a “fine dining” gloss to casual tavern fare, this handsome Federal Hill bar shines in the seafood department. : Fine dining no longer necessarily involves white tablecloths and waiters in formal attire. 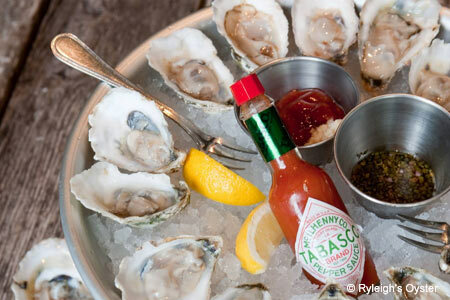 Some of the city’s most interesting food can be found in casual bistros, such as Ryleigh's Oyster, a handsome Federal Hill restaurant and bar. A fine dining experience shows even in its burgers and other standard bar fare, but seafood is where the action is. The signature ingredient shines in such dishes as char-grilled oysters with herb butter and Parmesan; fried oysters with spinach Cobb salad; and an oyster po’ boy. A selection of the freshly shucked goods are available at the slate raw bar in back. There’s also a romantic loft complete with a wine bar, and in warm weather, retractable doors turn the front of the restaurant into a sidewalk café. Other locations in Mount Vernon and Hunt Valley.